For tractor models 1026, 766, 966, 1066, 1466, 754, 2756, 826, 2826, 856, 2856, 1586, 786, 886, 986, 1086, 1486, 1566, 1568, 3088, 3288, 3688, 5088, 5288, 5488, 666, 815, 1206, 1246, 1468, 706, 2706, 806, 2806, 685, 915. Replaces 1323559C1. Does not come with bearings. New, aftermarket Front Wheel Hub, 8 Bolt for sale with a solid manufacturer warranty. 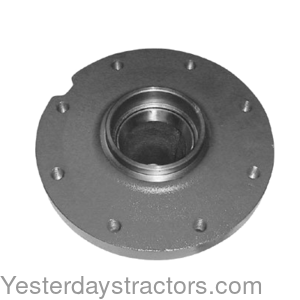 In addition, we have a generous 30-day return policy if this Farmall Front Wheel Hub, 8 Bolt for Farmall 1026, 766, 966, 1066, 1466, 754, 2756, 826, 2826, 856, 2856, 1586, 786, 886, 986, 1086, 1486, 1566, 1568, 3088, 3288, 3688, 5088, 5288, 5488, 666, 815, 1206, 1246, 1468, 706, 2706, 806, 2806, 685, 915 tractors needs to be returned for any reason. Please see our Parts Warranty and Return Policy links on your left for complete details before returning.